My favourite thing about Paris? The skincare. French women seem to have nailed that effortless, amazing skin vibe – maybe it’s the French water but the skincare has got a part to play… My favourite online shop, Escentual, shares my love for skincare and are celebrating with French pharmacy month throughout April – there’s up to a third off almost every lotion and potion you could ever want. Just in case you need some shopping inspiration, I wanted to run through my absolute favourite French pharmacy picks. Bioderma – I love Bioderma. I’ve been using their micellar water for years now (the original water cleanser that kickstarted a whole trend! ), and their shower oil has a permanent place in my bathroom. They also do an excellent spray SPF and good lip balm. Vichy – the brand I’d recommend the most for dehydrated skin types. My top picks would be the thermal dynamic serum, the quenching mineral mask and the night peeling treatment. La Roche Posay – one for blemished or sensitive skin. Their effaclar duo is amazing and is something I use every single day. Definitely a cult classic. Brand new to the range is the effaclar sebo-controlling mask which I think is going to be amazing for summer. Embryolisse – their lait creme concentre deserves a place in every bathroom, to be used as a moisturisier, primer and mask. Nuxe – one of those brands I’ve grown up with as my mum constantly uses their dry oil! I adore their reve de miel lip balm, and their total eye cream has one of those gorgeously soothing metal applicators to help de-puff the eyes. Decleor – definitely a fancy treat, this is high end French skincare that looks dreamy on your bathroom shelf! 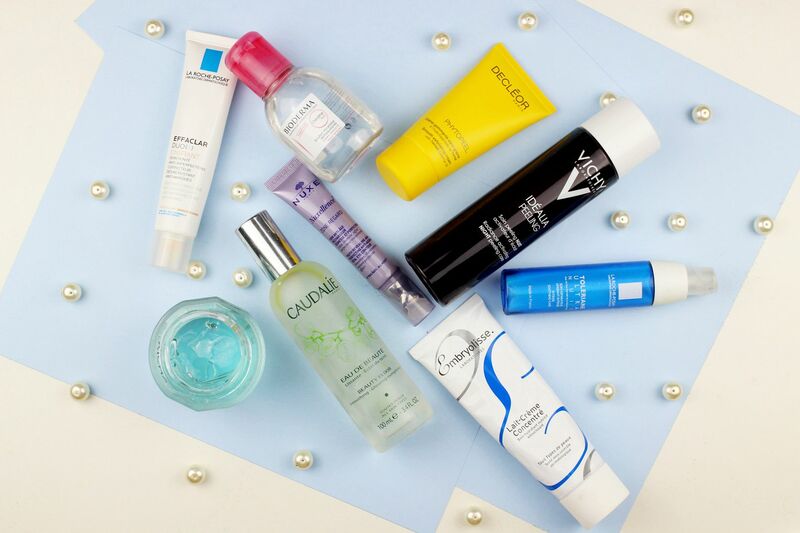 Do you have any French skincare favourites?